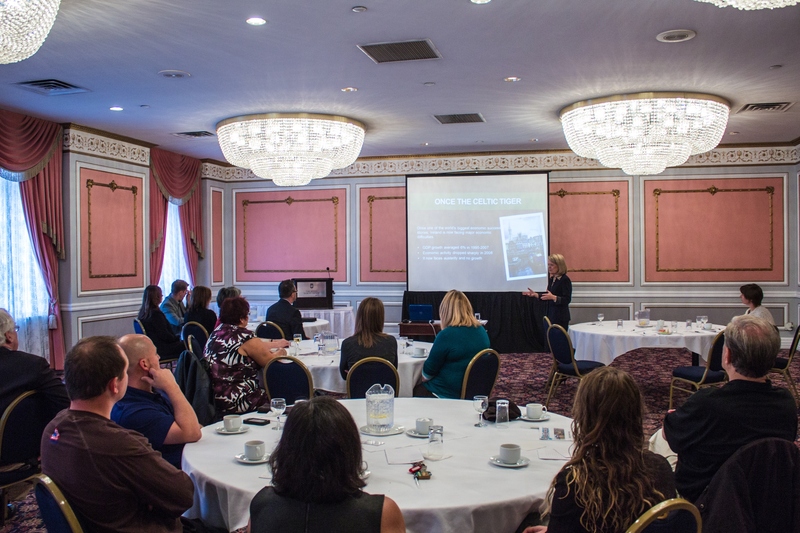 This morning the Frontier Centre held a breakfast in Regina with Linda West as a guest speaker. Linda is the President of Actyl Workforce Solutions, and spoke to us about the economic situation, and the resulting workforce recruitment opportunities in Ireland. Ireland, once one of the world’s biggest economic success stories, is now facing major economic difficulties. GDP growth averaged 6% in 1995-2007, but economic activity dropped sharply in 2008 and now remains flat. Ireland has found it impossible to re-finance their government debt without assistance and the word austerity is repeated everywhere. The unemployment rate is now the fourth worst of the 27 EU countries, with only Spain, Greece and Portugal with higher levels. For Irish men, this means that 17.9% are unemployed. Ireland’s sharp jump in unemployment has been attributed to the collapse of the construction industry after an artificially high housing boom. Ireland continues to produce large numbers of highly educated and skilled workers, ranking 4th in the OECD, despite economic pressures. Ireland’s workforce is english speaking, highly educated and skilled, ready to emigrate.